This entire litter born Decem,ber 17, 2018, has been sold. However, we are starting a waiting list for our next litter now. Feel free to contact us for more information. We love to talk about our puppies! Lakota and Rex have a beautiful litter of AKC German Shepherd puppies born December 17, 2018. There are four males and five females available. The puppies will be ready to go to their new homes in mid-February 2019 (just in time for Valentine’s Day!). To see pictures of Lakota (mother) and Rex (father), and to learn more about their personalities, please see the “Parents” section of our website. If you would like to purchase a puppy, please see the “Purchasing” section of our website for details, or contact us for more information. These puppies will sell fast once we begin advertising them, so reserve yours now! If you have any questions, please email or call us - we love to talk about our puppies! You can see more pictures of Lakota and learn all about her personality in the “Parents” section of our website. 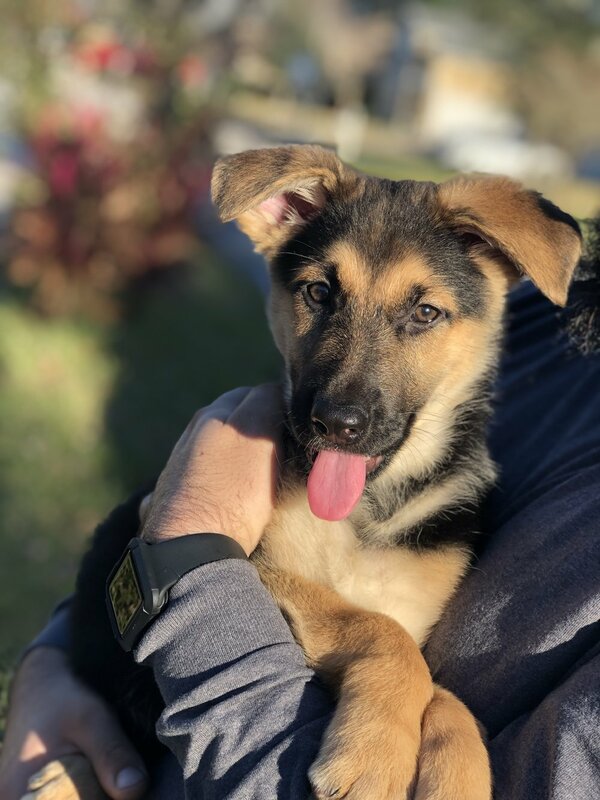 Rex is a black-and-tan regular stock coat AKC German Shepherd with a high prey, retrieving and hunting drive and an affinity for airborne scents and tracking. Lakota is a black-and-red long stock coat AKC German Shepherd that is highly intelligent with a moderate herding drive, a deep love of water, and a very strong desire to accompany family/handlers. Comet already has distinctive markings!